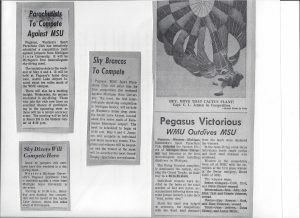 For those who don’t know them, I would like to introduce to you the WMU Skydive Broncos. 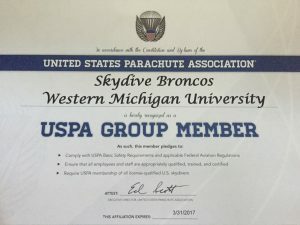 The Skydive Broncos are an official Western Michigan University Club participating in the sport of skydiving at Padgham Field in Allegan, Michigan under the watchful eye of Skydive Allegan. 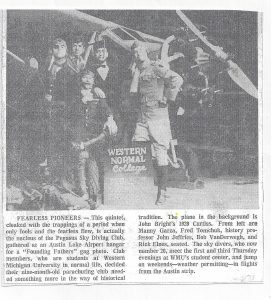 College skydiving clubs are not new to West Michigan. 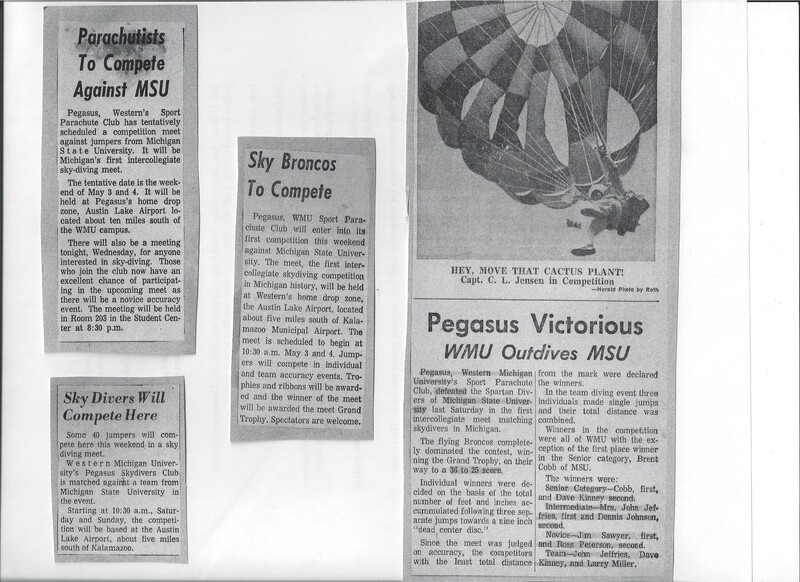 Dating back to the 1960’s several Michigan colleges maintained skydiving clubs and these clubs routinely assembled to compete with one another. 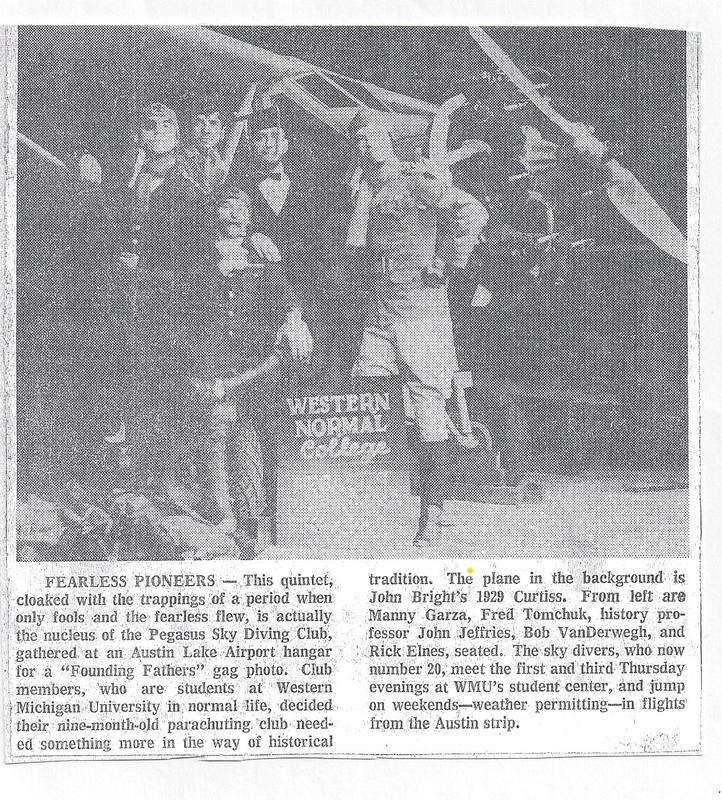 Western, Michigan State, Central Michigan University and the University of Michigan all had skydiving clubs in some form. 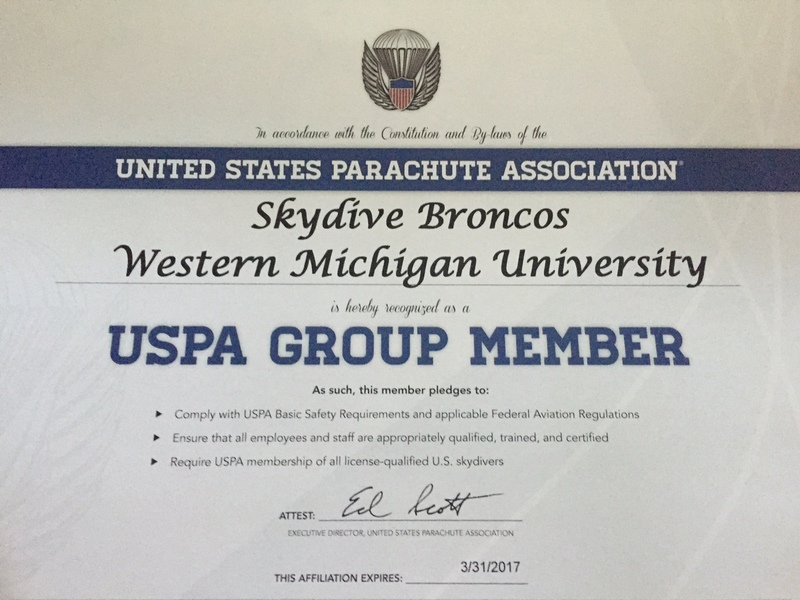 The Skydive Broncos is an official United States Parachute Association club, one of only six recognized by the USPA in the world and the only one in Michigan. This is important because in order for the club to be recognized by the USPA they must be sponsored by a USPA Group Member such as Skydive Allegan. 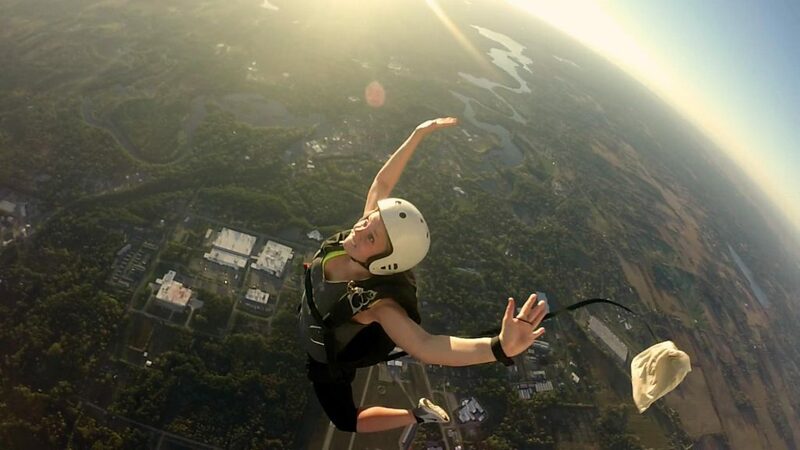 USPA Group Members are held to a very high standard in their safety and training of skydivers and adhere to the Basic Safety Requirements and numerous safety recommendations set forth by the USPA. 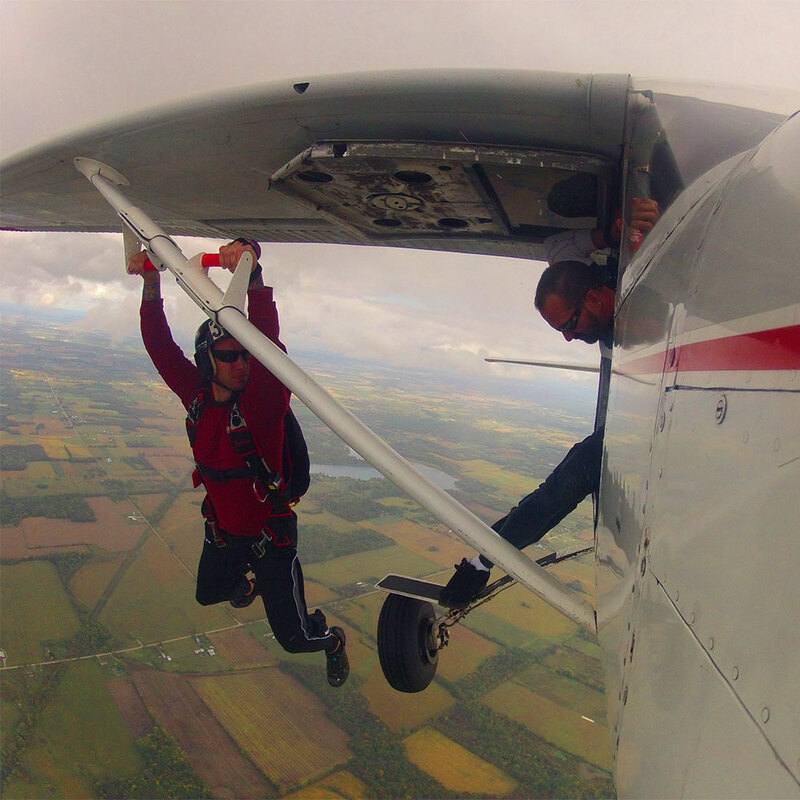 Skydive Allegan has been a USPA Group Member since 2006. The goal of Skydive Broncos is to participate in a sport and surround its members in an environment that encourages healthy physical and mental activity, team building, a sense of accomplishment, family and self worth while being held accountable for the vitality of the club and its perception by the community that supports its existence. The Skydive Broncos initiation fee is $199.00 which includes their first jump with free still photos (a $315.00 value, the difference being donated by Skydive Allegan). The remainder of the funds needed for the club to remain viable will emanate from of the University, donations, sponsors and funds raised by club members themselves. 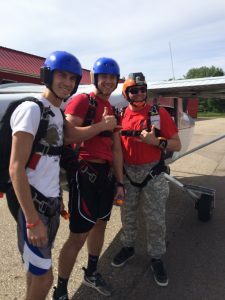 Skydive Allegan is a major sponsor for the club and donations will be made periodically to the club by Skydive Allegan based on member performance and contributions made at the dropzone. Club funds will be spent on training, study materials, competition costs, fitness training, fundraising and club advertising. 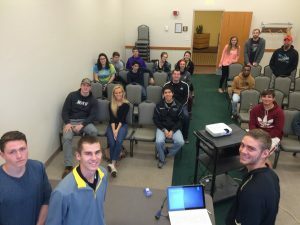 The Skydive Broncos will quantify their efforts when members achieve a license from the USPA and ultimately compete at the United States Collegiate Parachuting Championships hosted yearly by the USPA. Follow the Skydive Broncos on Facebook to see when and where they will be training, competing or supporting the club. Sponsors and donations are welcome, appreciated and can be made here.